Can one be too Kawaii? I don't think so! In fact, I'm SOOOOO Kawaii!! Haha...if you're wondering what Kawaii means...it's actually the Japanese word for "Cute! "...and yes, I am absolutely Kawaii. 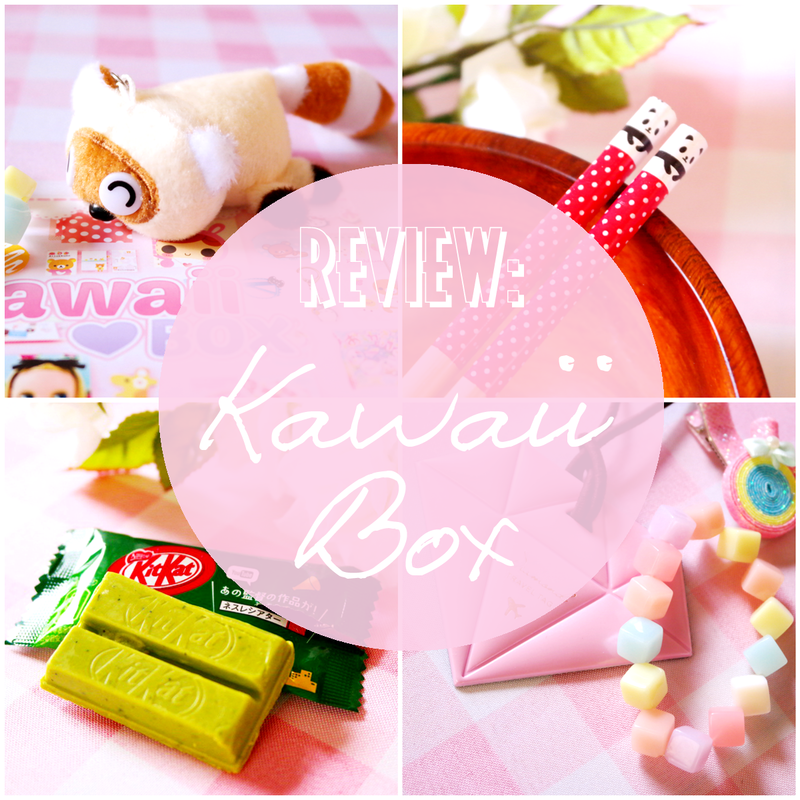 I'm quite obsessed with anything from the Asian Culture...be it Fashion or Beauty and even food so I was pretty darn excited to review this absolutely adorable & so very Kawaii "Kawaii Box". This is the box that it came in all the way from Singapore! It has the cutest little thank you cards and one of them said "You can't spell Cute without U" How adorable is that?! The unboxing begins!! Here's a group photo of all the pretties that were included in the box. So much cuteness I was awwwing...over every piece. No really, I was. 3. Stationary Blue Pencil Bag that says "Time Will Never Grow Old"
Squirrel Plushie? Keychain, GREEN TEA Kit Kats and on the far right...Kracie mix it yourself candy. Here's that adorable, I think it's a Squirrel?! Plush Keychain. It's way too cute. Stationary stickers with birthday cakes, cupcakes, heels, gift boxes and more. An adorable Bear and Roses Pencil...look at the top of it!! What a cutie bear face! Panda Chop Sticks! Hello Kitty Eraser. Green Tea Kit Kats!!! Ever since I heard of these I wanted to try them but how lucky was I to get them in my Kawaii Box!! OMG, it's so delicious!! I'm hooked. I love them better than the regular Kit Kats. I plan on buying a whole bag which I found here on Amazon. You're welcome. Panda Bear Chop Sticks. Can you just?! I love Ramen so these will come in handy. In fact, they already have. See my instagram for a photo. And how pretty is that cherry wood bowl? These were the two edible treats that I got in my Kawaii Box. That sweet treat on the right is called Kracie. Basically, it's a mix it yourself candy! It comes with a tray and 3 little bags. You take bag 1 and bag 2 which is full of dry candy powder and put it into the large bowl below...add in a capful of water and mix! 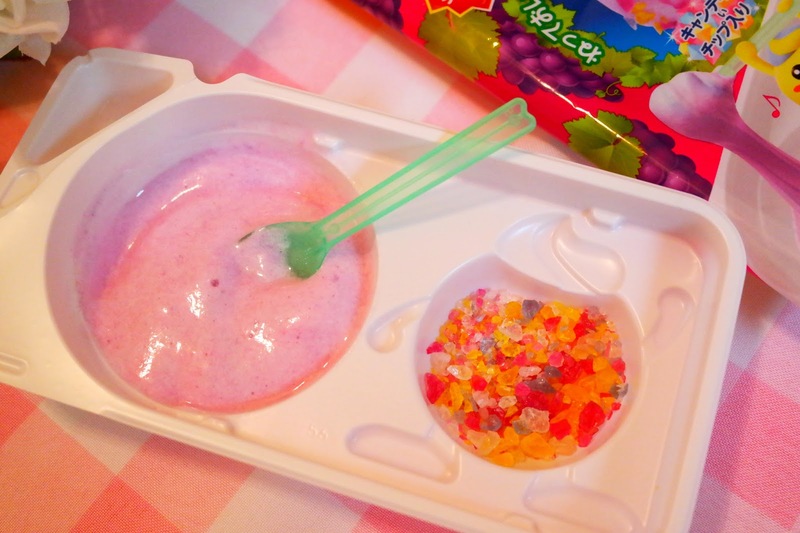 Voila Grape Soda flavored frothy candy that you can top with candy rocks which came in the third bag. They kind of remind me of Nerds. Yum!! The whole directions were in Japanese I think and I had to go up online to figure it out but it was pretty easy to guess what to do to make it. Probably, my favorite item next to the Green Tea Kit Kats would be the gorgeous pastel block bracelet below. I just love it. It literally screams springtime with all it's gorgeous pastiliness. Is that a word? I guess it is now. *dimple* You can see a photo of me wearing it here on Instagram along with our gorgeous Hot Lips Lips Shaped Purse. Plus, look at that diamond shaped luggage tag. I do love diamonds. All in all, I told you there would be tons of cuteness. I want another box right now. Waaahhh. I love all the cuteness. giggle.... It really brought a smile to my face, you know. Ah, getting parcels in the mail....it's a wonderful thing, is it not? Especially when they are this fun! So did you like it? You want one for yourself, don't you? 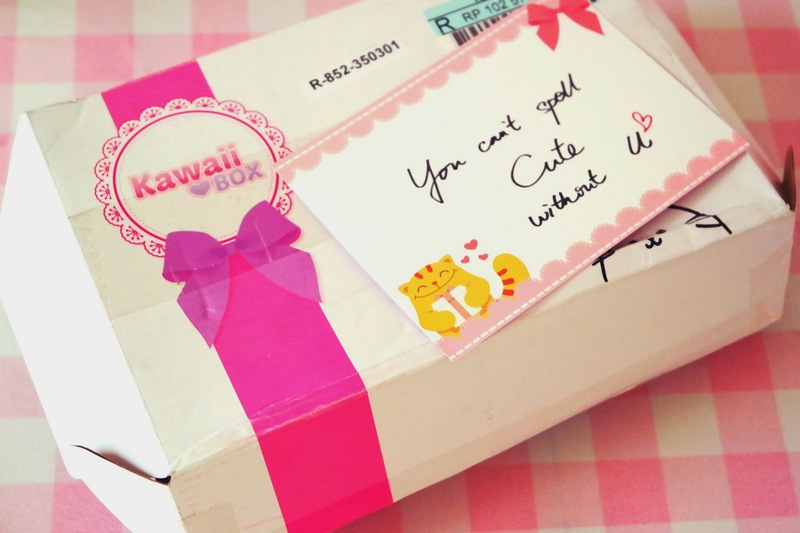 You can get your own Kawaii Box here if you just can't wait! And you can follow them up on Facebook and Instagram too so you can check out all the cuteness going on up there. Guess what? We're going to be sponsoring a giveaway so one of *you* can win one of these Kawaii Subscription Box's and then you can see what all the fun is about for yourself. Yay!!!!!! Stay tuned babes. You should! They're SO much fun!! I can't wait...they've come out with a candy subscription box that I'll be trying out soon too. Ah you were so right, your pictures are beautiful! I kept ooh and ahhing out loud cause you got so many great shots haha. I'm dying to learn how to stage pictures so well like this ;( Makes the photo so much more interesting. I think this was the box right before I had subscribed, I'm so sad I missed out on the Kit Kats and candy kit!